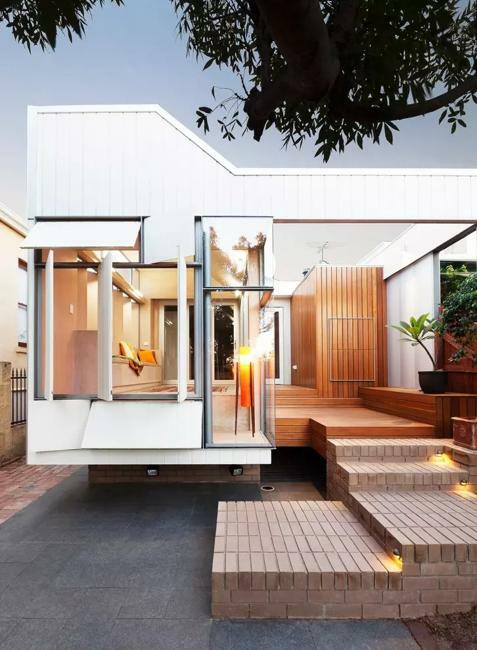 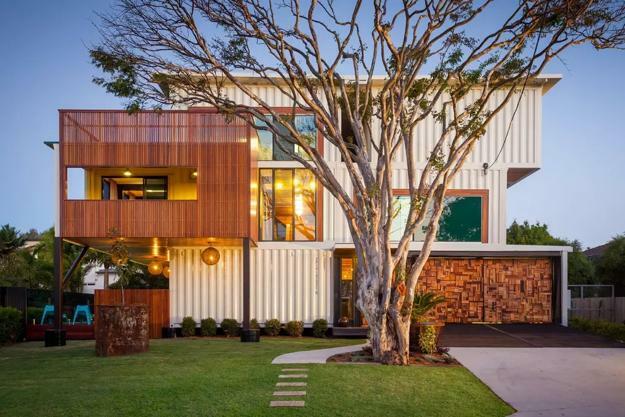 Container homes are a popular alternative to expensive traditional house designs. 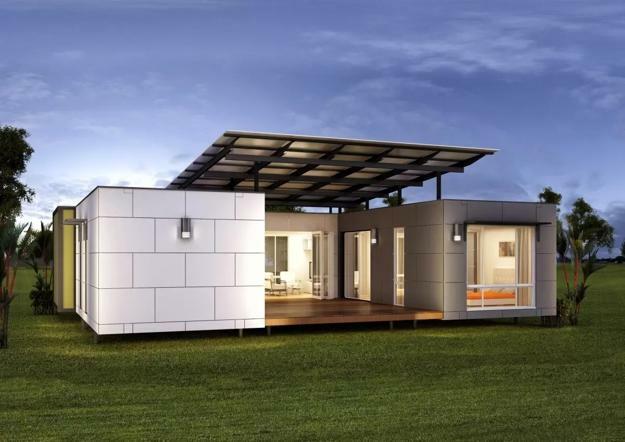 Many people want something different, eco-friendly, unusual. 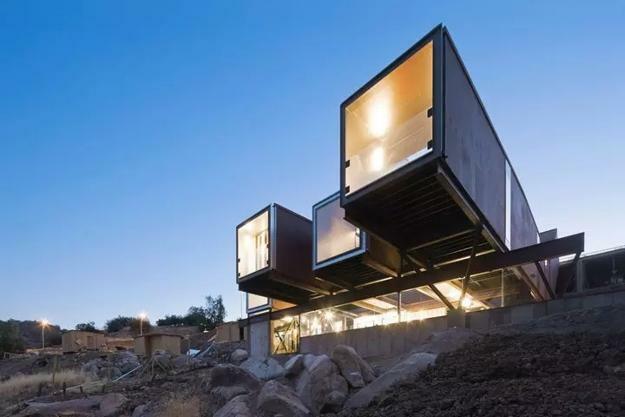 Container house designs are cheap ideas for building unique contemporary homes. 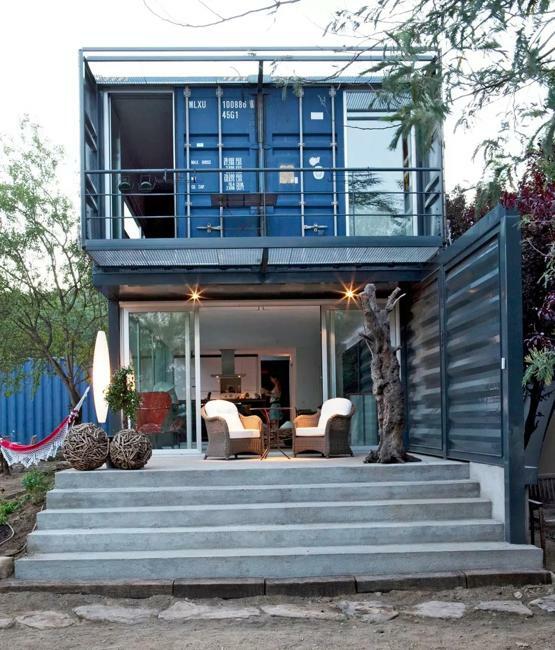 The eco-friendly designs turn cargo shipping container into exciting and original buildings. 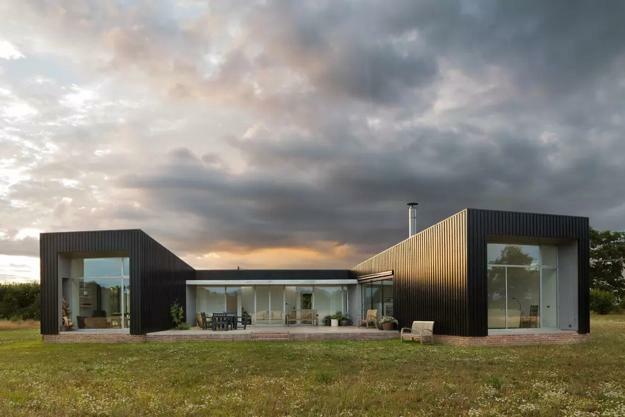 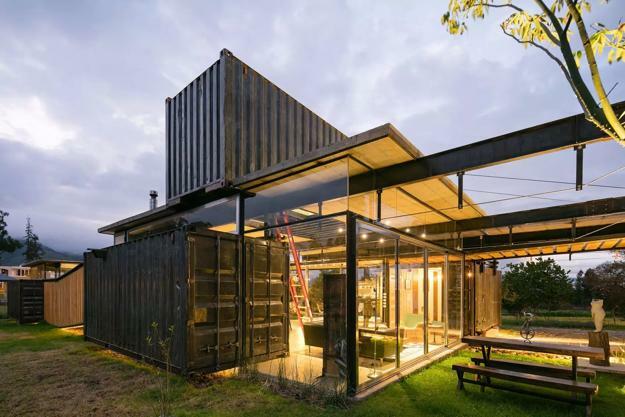 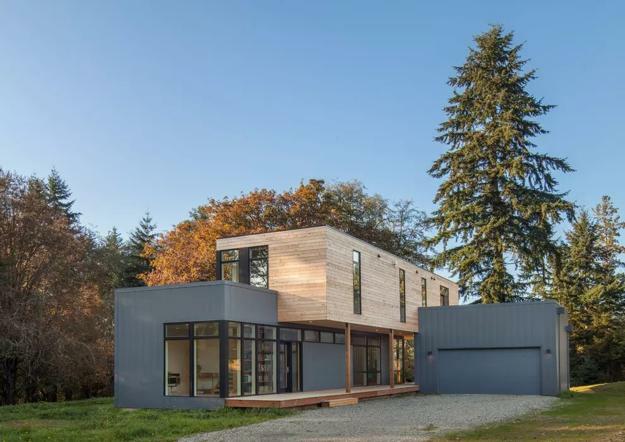 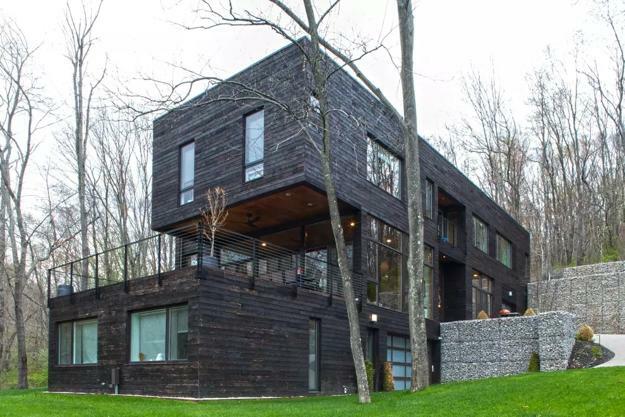 Using cargo shipping containers as building blocks the architects and builders experiment with structural elements and create fabulous modern homes, offices, cottages, and public spaces. 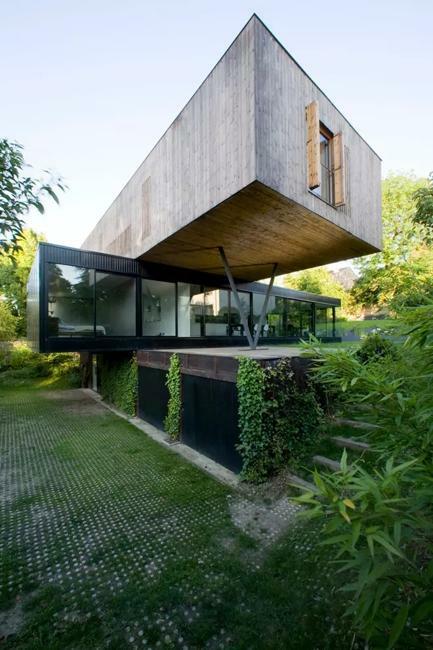 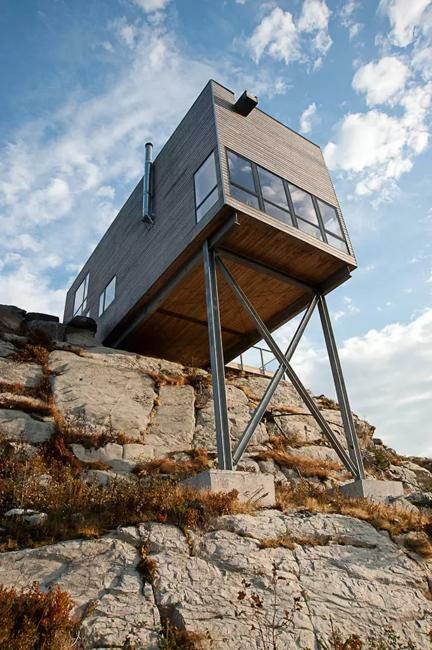 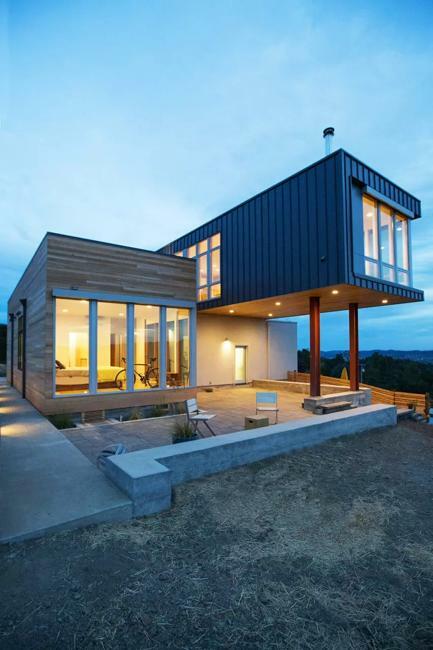 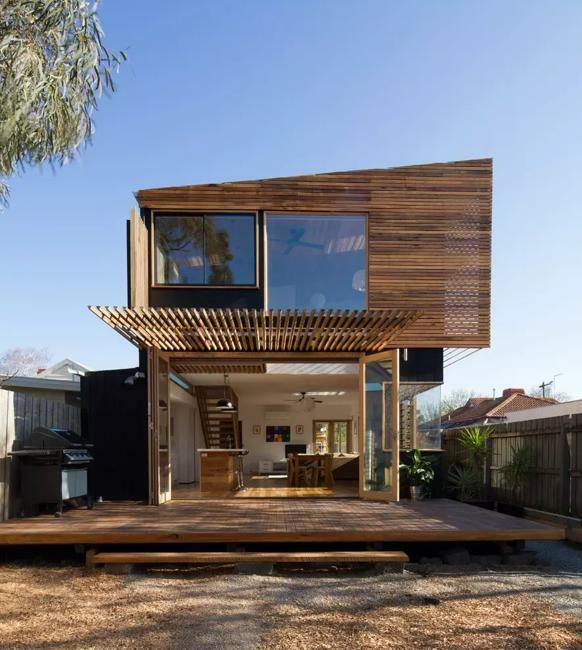 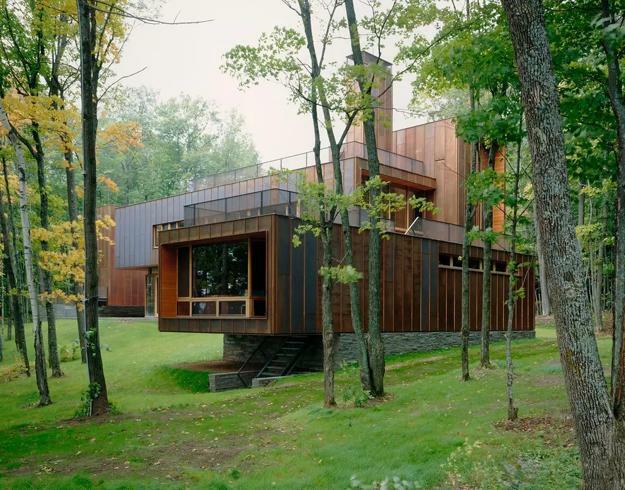 Containers are affordable, widely available, and durable enough for the framework for a house. 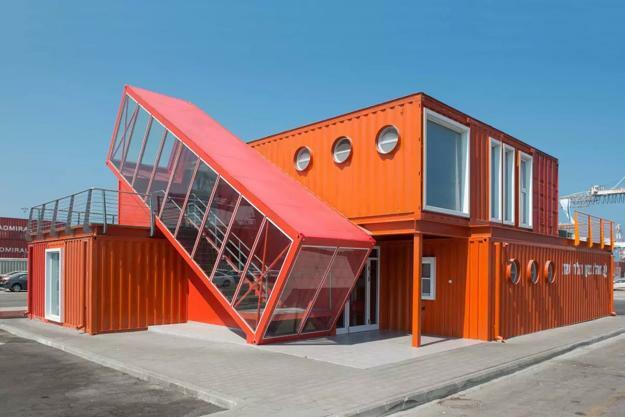 Several containers can be combined creatively. 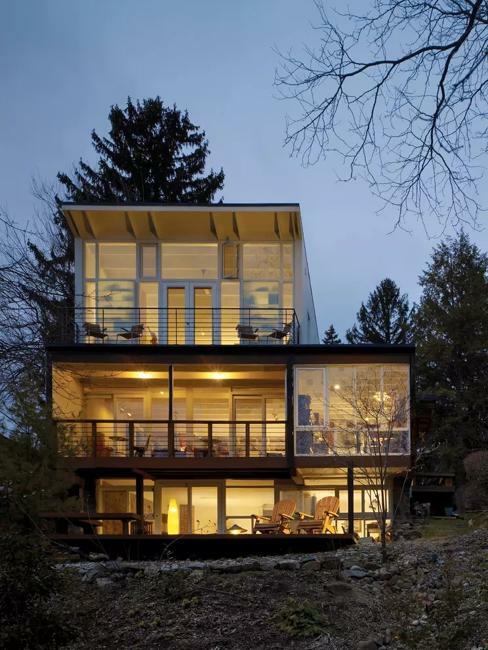 Large windows and doors, glass wall design ideas, and innovative house exterior details turn containers into attractive and stylish contemporary homes. 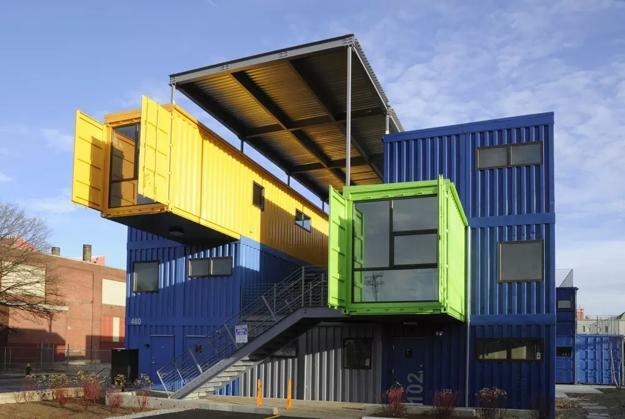 Architects and builders insulate the modified containers to resist heat and cold, then decorate the building, adding decks, balconies, and canopies. 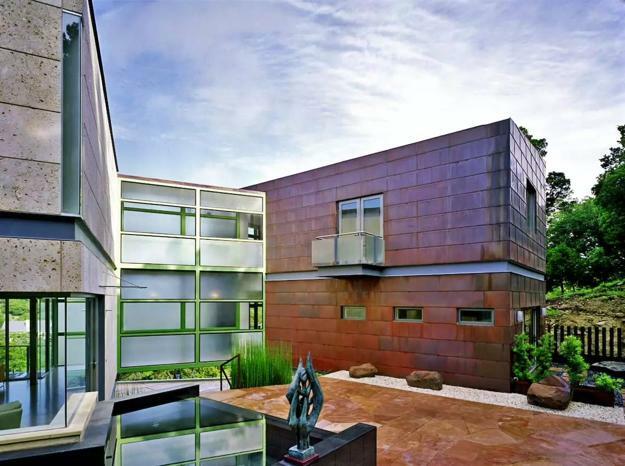 Metal containers are the excellent material for house designs. 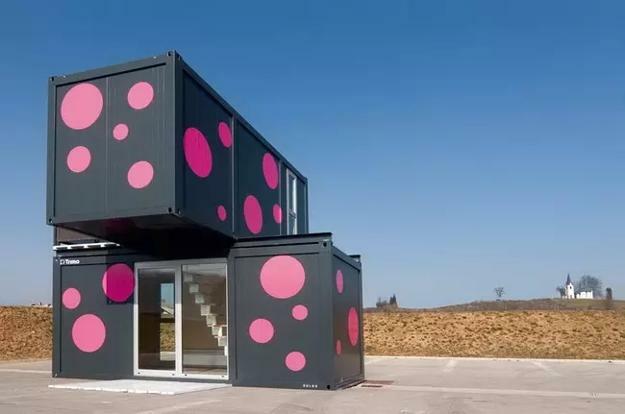 A container becomes an element of the modular structure when a few cargo shipping containers are attached to each other. 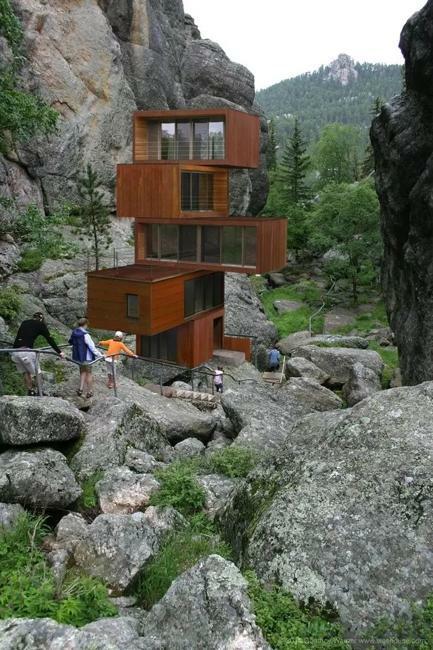 The modular architectural designs look original and impressive. 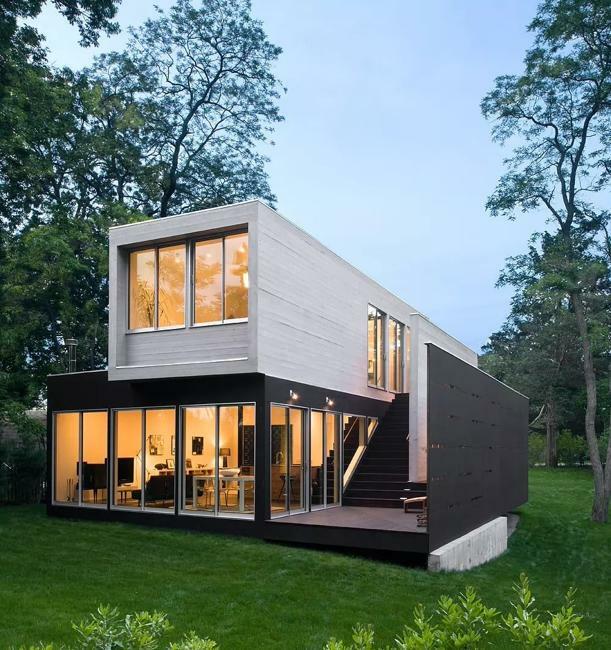 Corrugated steel containers make incredibly strong building blocks that creatively turn into modern homes. 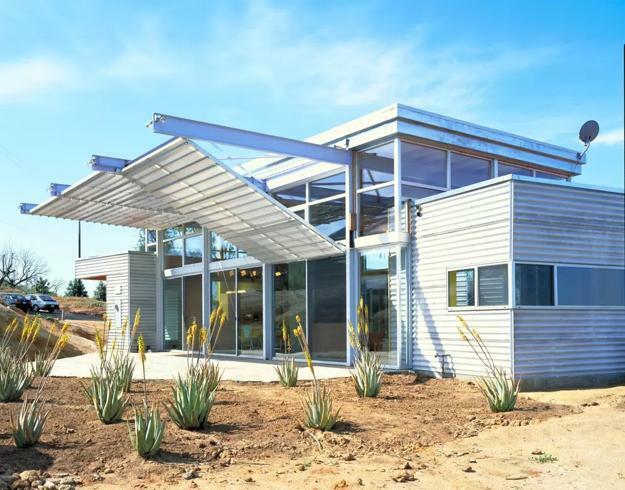 Bright paint colors, wood and steel decorations, outdoor seating areas improve the look of rectangular house designs and add a welcoming vibe to the sustainable designs. 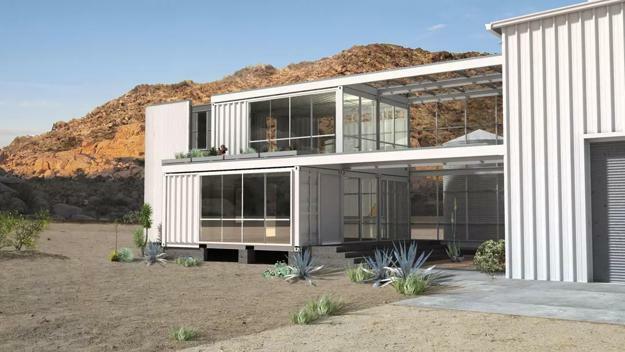 Shipping container homes are one of the modern trends in Green design. 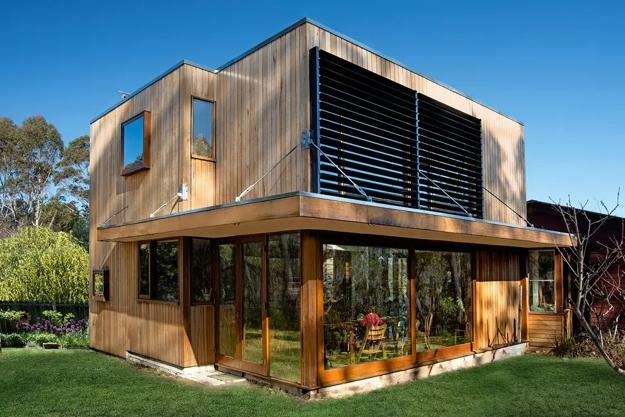 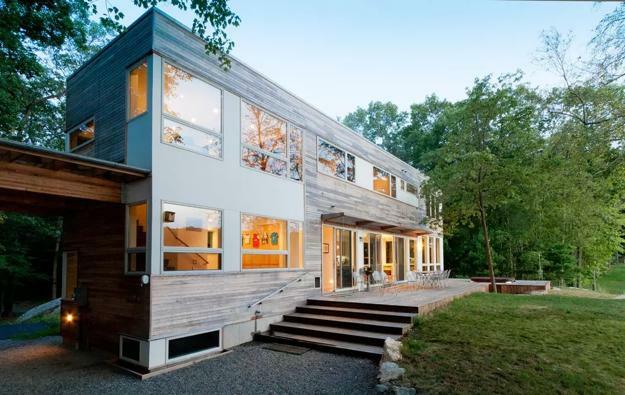 These house designs became a part of Green living. 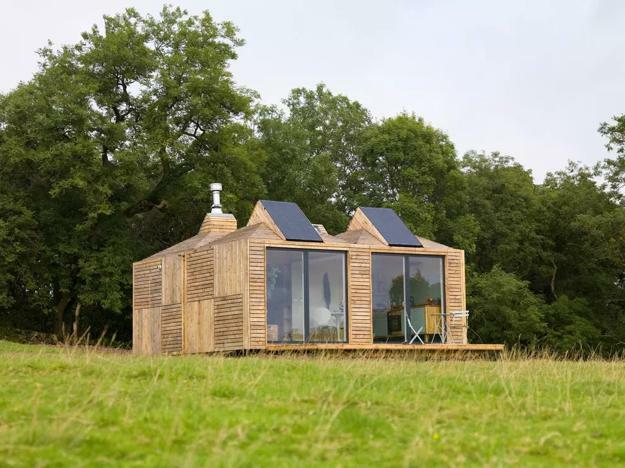 The eco homes are made from recycled materials, feature unique designs and offer cheap ideas for alternative housing.